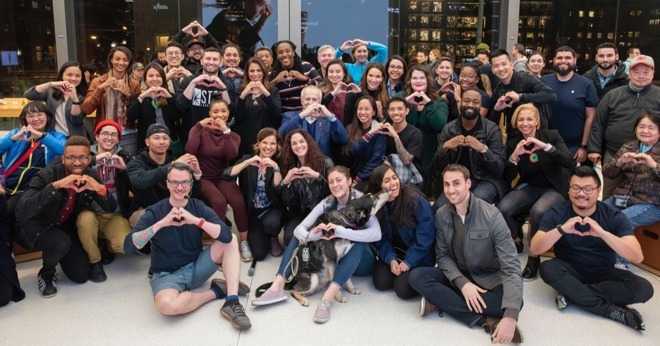 Apple continues its commitment to health and the American Heart Month with a series of new health-focused events at select Apple Stores, including a special session in San Francisco that featured Apple VP Sumbul Desai. The first of Apple's February health events took place at Apple Union Square on Monday, with a panel discussion involving Desai, fitness trainer Jeanette Jenkins and Robert Harrington, president-elect of the American Heart Association. Apple's Julz Arny, who works on special fitness projects, moderated the talk, reports CNBC. Not much was shared in the way of new information, though it was announced that Apple plans to reveal the results of its Heart Study at a forthcoming meeting of the American College of Cardiology. The study had a massive sample size of more than 400,000 Apple Watch owners, a rarity in formal medical research that is often limited to a few thousand participants, at most. The study started to wind down at the tail end of 2018. At the gathering, Desai said the research, conducted in partnership with Stanford Medicine, looks not only at population trends, but individual user behavior. She added that the findings might inform new methods of data sharing between Watch owners and doctors, presumably with the help of iOS apps like Apple's Health. Desai joined the Apple team in 2017 after serving in a number of roles at Stanford Medical, including a position key to the launch of the Stanford Center for Digital Health. "I went to medical school to have an impact and now I have the opportunity to be able to do that at scale," she said, explaining her decision to enter the tech sector. Harrington also chimed in, noting that the medical field lacks hard data on population rates of atrial fibrillation, a condition that can lead to heart failure. 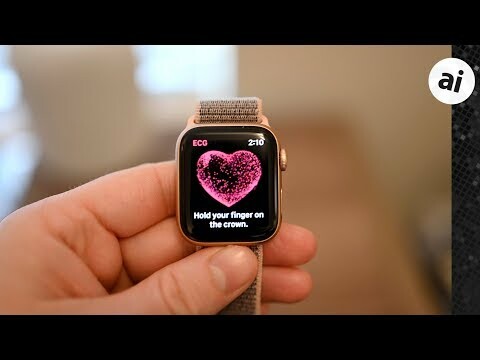 Apple Watch's heart rate sensor, combined with watchOS 5, can be used to detect signs of AFib. In fact, the latest Apple Watch Series 4 integrates an ECG feature that provides deeper insight into heart health and is already saving lives. Following the panel, Jenkins led attendees on a short walk around to demonstrate the different fitness capabilities of Apple Watch. Apple CEO Tim Cook celebrated the inaugural event on Twitter. Two more health-focused events are scheduled for Apple stores in New York and Chicago later this month. Apple is also running an activity challenge on Apple Watch in recognition of Heart Month. Already underway, the challenge calls on users to fill their exercise ring every day from Feb. 8 to Feb. 14, in order to earn a unique badge.